“The times when I’m not bored is when I’m flying, when I’m flying my hang glider, when I’m racing the M Coupe—because all of a sudden the world moves up to my speed.” Airline pilot Alex McCulloch is a great judge of what it means to travel quickly and effortlessly through the air, and so his choice of a BMW M Coupe is telling. For Steve Strope of Pure Vision, turning his idea into loud and fast art is something very few fabricators can dedicate themselves to. 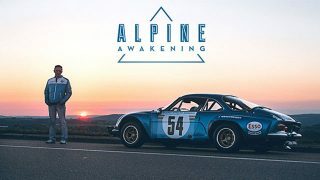 His concept was created from a “what if” moment, where he imagined Ford and Martini Racing teaming up to dominate rally races across Europe. Powered by a 1966 Ford/Lotus Indy Car motor, this fastback Mustang is serious business when it comes to performance. Much like a watchmaker who knows the purpose of each moving part, Steve’s design signature can be found hidden in the car’s details. 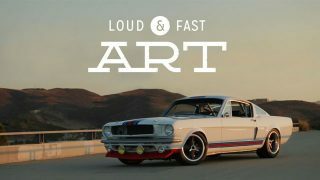 As enthusiasts spend hours discovering new pieces crafted for his Mustang, Steve smiles from ear to ear and is envigorated to start his next project. Nothing has been left untouched and everything on this Mustang is meant to set your imagination on fire. 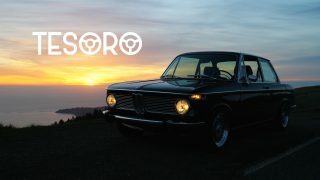 As an architect, Monti has a unique perspective on his beloved family heirloom, a Mercedes-Benz 280 SL. 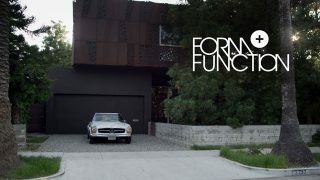 In the family for 30 years, you’d be safe in assuming its crisp lines and form-follows-function details have influenced his take on buildings. But first: did you know its roof was designed to be used as a photographer’s perch? I was fortunate enough to experience the ragged edge in my M Coupe with Alex about 11 years ago. I think his car was pretty much stock at the time and mine was lowered on stiff Ground-Control coil overs and 18” wheels. Him in the lead, I experienced what he was talking about here. That was an exciting and hair-raising experience, but maybe too much fun for public roads. An old crappy photo I dug up. Love the car but this guy is a total cheeseball. A few minutes of his narcissistic idiocy and I stopped watching. Perhaps it’s just a personality disorder and he can’t help being an asshat. 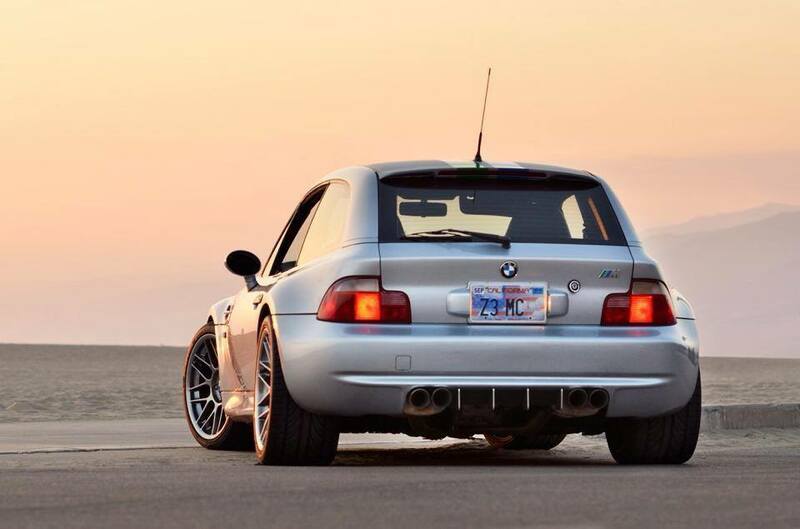 I remember the first time I saw the M Coupe. I couldn’t noodle it correctly. It was at once visceral and bizarre. A years later later, 2002-ish, I flew into Ohio to buy a car from a guy who had just opened a small Euro used car dealership in a renovated gas station. There was a M Coupe in the showroom. The owner (and sole employee) said the M Coupe was for sale (but sadly out of my reach). But first he had committed to doing a [cough] unsanctioned cross country race in it. My brain pretty much exploded at the idea. does anyone know where I can find that shirt he’s wearing?? Please reply!! It’s a Blipshift shirt. Each of their designs is for sale for a couple a days and then it’s gone. They had that a few months ago. Get on their email distribution and keep an eye for other great t-shirts. Oh God I NEED A CLOWN SHOE YESTERDAY. You wrote precisely what I was thinking watching the video. 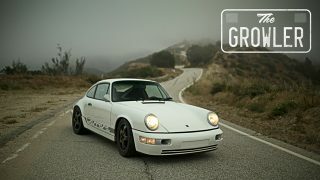 This is the first Petrolicious video I could not watch until the end and this fact compelled me to comment. Definitely among the better videos to come out lately, good enough to make me register to comment at least. 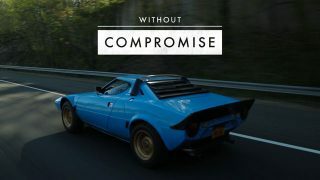 While I have no complaints with Petrolicious, it is neat to see something “different” on this website every once in a while. Isn’t anyone bothered by the “Coup” prononciation againg and again? it’s Coup[u]é[/u] as in the “e” is not silent, since this is a french word. I get this with the normal people that don’t care what they drive, but this is supposed to be a site for ethusiasts. Otherwise the M Coupé is a great car. Regarding the gearbox downgrade from the M3 as far as I know the reason was that it did not fit the Z3 chasis. Thanks for bring it up. You beat me to this, it’s been my pet peeve (along with people who write ‘should of’ or such). Of course if Americans start pronouncing ‘coupé’ correctly, you wouldn’t be tell that chicken coop joke (why does a chicken coop only has two doors?). 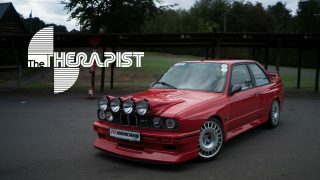 Anyway, the car, I love M Coupé, the only Beemer that I genuinely craved since the first M3. Such a mad car. Am I possibly the only one who thought that it’s a shame that the sunroof doesn’t slide open? It’s just how ‘mericans pronounce it. That “e” on the end didn’t come with the accent mark on US models both in the promotional literature and anywhere on the car. So in americaland, “Coup” it is. 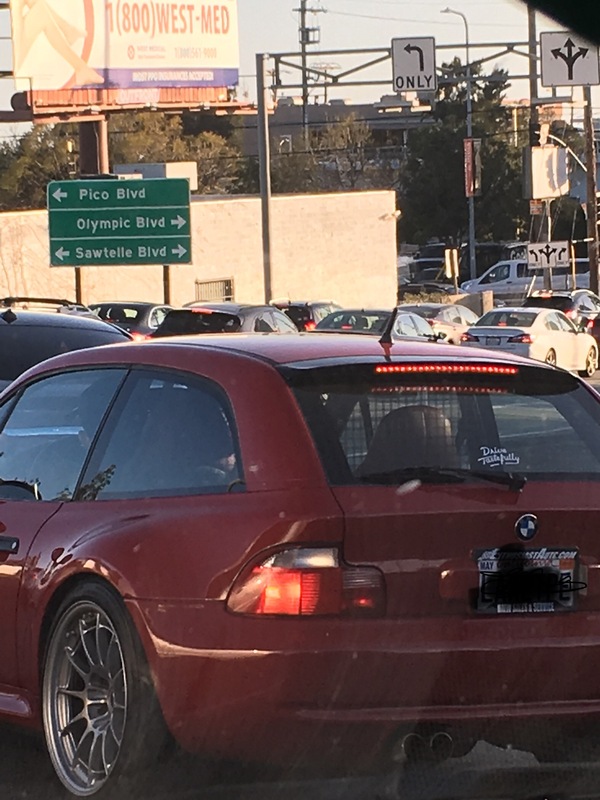 It’s how Americans have always pronounced coupe. Both the ZF 6 speed out of a e46 330i/e86 MCoupe and the Getrag 6 out of the e46 M3 fit fine in the Z3 MCoupe. No chassis modification necessary. It’s a shame that they didn’t come like that from the factory. I’ve got a ZF 6 in mine and I can’t go back to the 5. US English is Coupe, as in “Koop”. Coupe “koopay” is for fairies and the French. Is that title a reference to the M Coupe’s nickname “the clown shoe?” A trite story: owned an estoril blue M Coupe and wish I still had it. 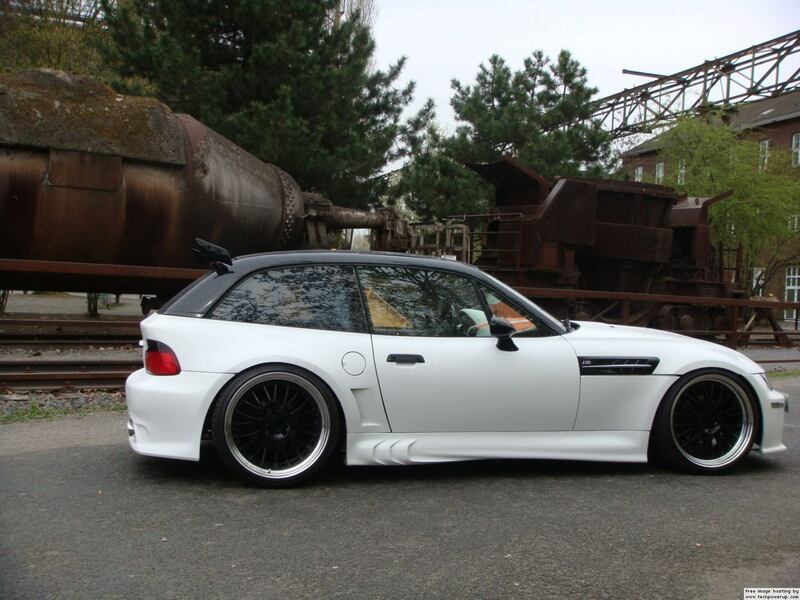 I had a ’99 M Coupe that I had to sell a few years back. Definitely the most rewarding car I ever driven. I just had to do the basic suspension / wheel mods and it really set it light years ahead. Still, stick out of the box it’s not bad either. Alex (owner from this film) is a very nice guy. 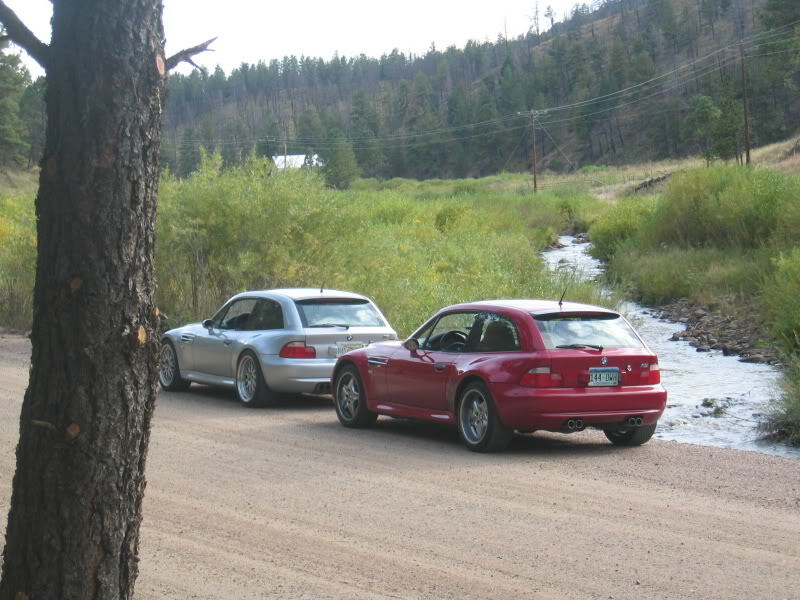 I had the pleasure of driving my M Coupe with his in the mountains of Colorado one fine day about 10 years ago. I had an S50 M3 coupe for a while, one car ticked off my bucket list, in standard setup the car is fun but can be a bit of a handful, a bit of tweaking and it’s a great drivers car. That’s the exact same thing that I feel….wow…great guy! Great video! Gotta love the shoe! 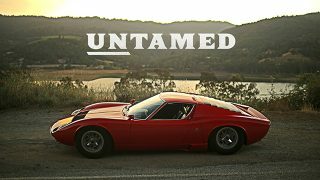 Long time viewer and a first time commenter, was just wondering if the Petrolicious crew have been trying some different filming techniques and editing with the past few videos? 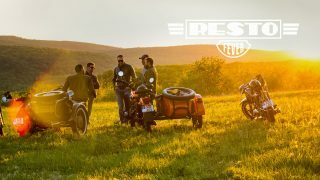 I love how you push the boundaries with what we have seen with short car vids and look forward to participating in the Petrolicious community!